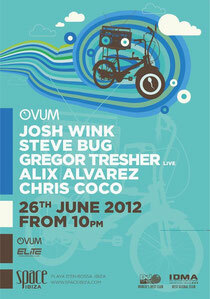 Ovum Recordings will hold a one-off exclusive party at Space Ibiza tonight. 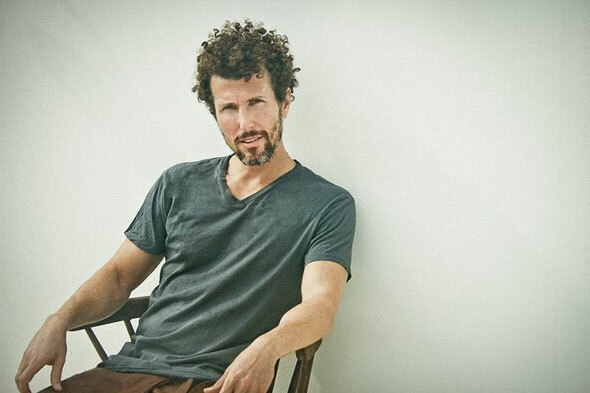 Josh Wink will head things up on the Space Terrace, joined by Ovum artists and friends, Steve Bug, Gregor Tresher (LIVE) and Alix Alvarez, whilst Chris Coco will play a Balearic house set on the Sunset Terrace. Longtime friend and label collaborator Steve Bug joins Josh on the Space Terrace, as well as Gregor Tresher, fresh after his latest Ovum release 'For Many Days To Come'. Following the 2010 release '95 Days' and 'As Days Go By' from 2011, the newest release marks the third and in his Ovum 'Days' series, a heavyweight release which combines teasing grooves with delicate piano riffs. Alix Alvarez, born and raised in the Bronx was nourished on vinyl selections of disco, soul and salsa by his parents in his formative years. In 1999, Alix was given the opportunity that lead him to be an assistant sound engineer at Masters At Work studios - "Little" Louie Vega and Kenny "Dope" Gonzales' studios in NYC. Like a kid in a candy store, Alix literally slept in the studio making beats on the down low. It was his experience and training at the MAW studios that helped him to develop his engineering skills as he was beginning to produce and write his own deep house gems. Chris Coco is a producer, DJ, musician, broadcaster and journalist. On Space's Sunset Terrace, he'll be playing a mixture of Balearic and house, in his own words: "That old music that sounds like new music and new music that goes all over the place but is definitely great to dance to."